"This is as real as it gets kids, you learn from living!" Lionsgate has unveiled the first trailer for the film The Glass Castle, the latest feature from writer/director Destin Daniel Cretton, who is one of the most underrated filmmakers working today. Cretton has made two outstanding films so far: I Am Not a Hipster (in 2012) and Short Term 12 (in 2013). 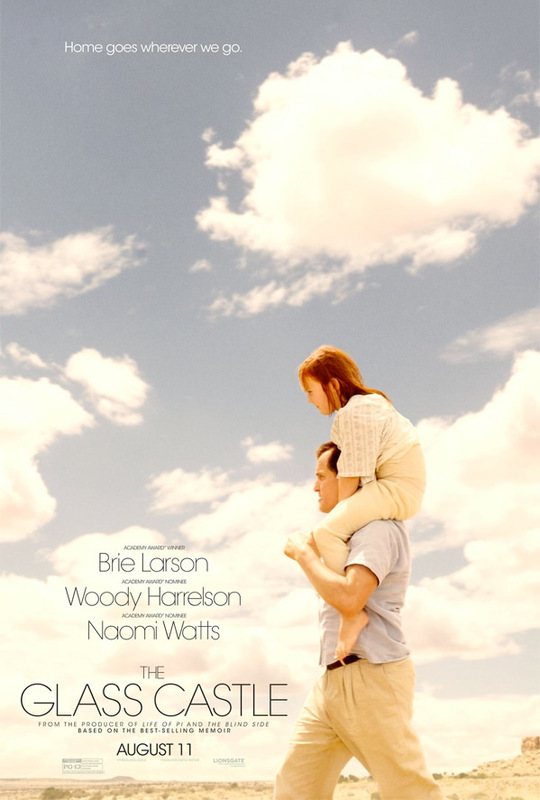 This time he adapts the memoirs of Jeannette Walls, as played by Brie Larson, a woman growing up in a dysfunctional family of nonconformist nomads with a mother who's an eccentric artist and an alcoholic father. The cast features Naomi Watts & Woody Harrelson (as her odd mother & father, respectively), Sarah Snook, Max Greenfield, Brigette Lundy-Paine, and others. As expected, this looks fantastic and it's easily one of my most anticipated films to see this year. Take a look. For more updates follow the film on Twitter @GlassCastleFilm or follow Destin on Twitter @destindaniel. A girl named Jeannette (Brie Larson) comes of age in a dysfunctional family of nonconformist nomads with a mother who's an eccentric artist and an alcoholic father who would stir the children's imagination with hope as a distraction to their poverty. The Glass Castle is written and directed by talented American filmmaker Destin Daniel Cretton, of the films I Am Not a Hipster and Short Term 12 previously. This is based on the memoir by Jeannette Walls, adapted by Cretton and Andrew Lanham. Lionsgate will release The Glass Castle in theaters starting on August 11th this summer. Stay tuned for more. First impression?